Divock Origi, making his first Premier League appearance since August 2017, scored the decisive 96th-minute goal for Liverpool vs Everton. 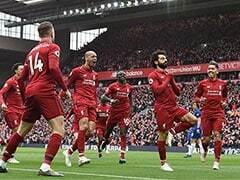 Divock Origi's freak injury-time winning goal settled a thrilling Merseyside derby as Liverpool beat Everton 1-0 on Sunday to stay in touch with Premier League leaders Manchester City, although the FA may yet have the final word on a tempestuous finale to the game. 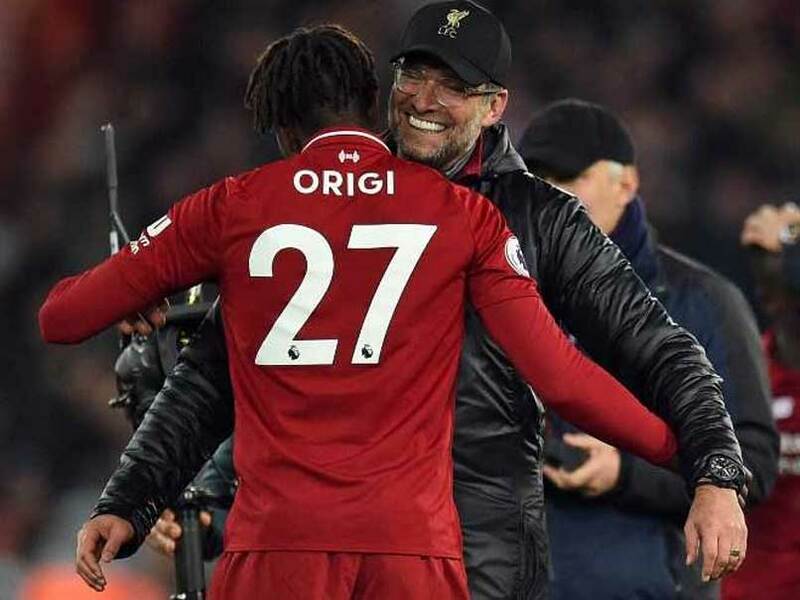 Jurgen Klopp apologised on TV afterwards for his celebrations after Origi, making his first Premier League appearance since August 2017, scored the decisive 96th-minute goal. 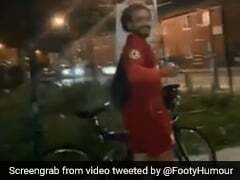 The German manager sprinted onto the field, running beyond the centre circle, while numerous coaching staff and substitutes headed towards the Kop to join Liverpool players celebrating with supporters. At the other end of Anfield, Everton supporters threw blue flares onto the field, another incident that will likely bring FA action. And while Klopp claimed he had apologised to opposite number Marco Silva after the game -- a claim denied by the Everton man -- the FA may take a dim view of the wild scenes. "Immediately after the game I apologised to Marco Silva when we spoke to each other," said Klopp. "I told him how much I respect his work. Silva rejected Klopp's version of events, however. "He didn't apologise to me," he said. "To be honest, I didn't see so I don't know what he did and how he did it. "I think he didn't expect anything (the late goal) so it was a lucky day for him." 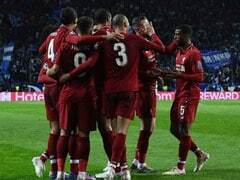 The goal came about in the most unlikely of circumstances as the seconds ticked down and Virgil van Dijk mishit a hopeful, desperate shot in the direction of the Everton goal, with the effort ballooning into the air and the defender turning his back in disgust. But goalkeeper Jordan Pickford struggled to judge the flight of the ball as it dropped from the Anfield night sky. The England man panicked, appearing to push the ball upwards before it bounced on top of the bar and into the path of Origi, who had a simple task to head into the open net. Pickford apologised for his blunder but gave a different version of events. "The ball spun and as I tried to flick it over, my hand hit the bar," he said. "I think it is the Everton luck when we come to Anfield." For Origi, whose derby appearance in April 2016 saw him suffer a career-threatening ankle injury before he was forced to spend last season on loan with Wolfsburg, it was a particularly sweet goal. "I said it to him, when I went to him on the pitch I had it in my mind. I've never forgot it (the injury) since," said Klopp. "Fouls and harsh tackles happen, but in his case it was so obvious that it was a break in his development. "So it was always in my mind about Div that night (against Everton). And coming on tonight, he can finish that book and from now on everything will be fine again." Origi might have won the game minutes earlier, striking a shot against the bar before Daniel Sturridge's follow-up struck Gylfi Sigurdsson and led to strong penalty claims. But Everton could also point to two glorious first-half chances that might have ended their 19-year wait for a win at Anfield. First, Yerry Mina headed wide from close-range from a free-kick and then Andre Gomes's double effort drew a stunning save from Alisson and goalline clearance from Joe Gomez. For Liverpool, Sadio Mane hurried a shot over from 10 yards and Xherdan Shaqiri was blocked by Pickford when a goal looked inevitable -- signs of the home side being put off their stride by an impressive Everton. "I'm proud of my players, proud of how they performed this evening," said Silva. "It was a lucky, lucky, lucky day for Liverpool."